The 1980s were a Golden Age for hockey. Although Wayne Gretzky and the dominant Edmonton Oilers got much of the attention, so many great players made their hobby debuts over the course of the decade. It's worth noting that while prices of many baseball cards from the same era crashed, 1980s hockey cards have remained largely stable over the years. Despite not having the same sized collector base as other sports, hockey card collectors are among the most passionate in the hobby. The fact that the decade was one of the best for the sport certainly helps, as does the lower print runs. 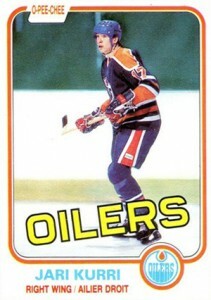 It'd be difficult to pinpoint any one reason as to why prices of 1980s hockey cards have remained so strong. Maybe we just need to look at the caliber of players turned out during the ten year span. 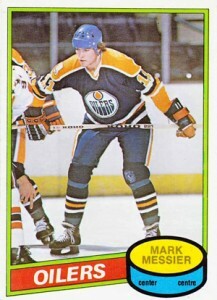 Below is a list of the top ten hockey rookie cards of the 1980s (1980-81 through 1989-90). Because O-Pee-Chee outpaces Topps hockey sets for every year but 1989-90, the list is held to the Canadian versions of the cards. Known best for his booming slapshot, Al MacInnis forever played in the shadow of Ray Bourque and Paul Coffey. MacInnis won his lone Norris Trophy as the NHL's best defenceman in 1998-99. 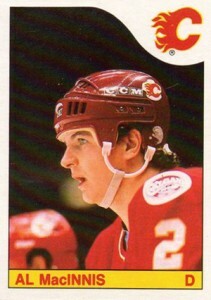 A decade earlier, MacInnis helped lead the Calgary Flames to their only Stanley Cup victory in 1989 where he was named the playoff MVP. The goaltender for one of the greatest dynasties in all of sports, Grant Fuhr was one of hockey's most popular players in the 1980s. 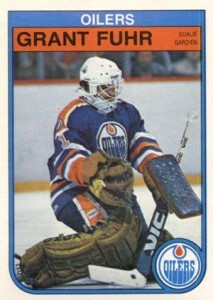 The eighth pick in the 1981 NHL Draft, Fuhr won five Stanley Cups and one Vezina Trophy as hockey's best goalie. Jari Kurri spent much of his career as Wayne Gretzky's line mate. As a result, he racked up the goals. But that's not to say that the Great One deserves all the credit for Kurri's success. With 1,398 career points, Kurri sits 20th of all-time. When he was elected in the Hockey Hall of Fame in 2001, he became the first player from Finland to do so. 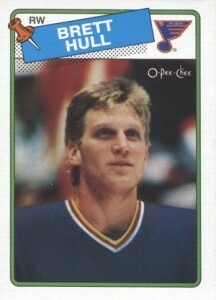 In his prime during the early 1990s, Brett Hull was hockey's most dangerous sniper. His 741 goals put him third on the NHL's all-time list. Although Hull failed to bring a Stanley Cup to St. Louis, he won two late in his career with the Dallas Stars and Detroit Red Wings. 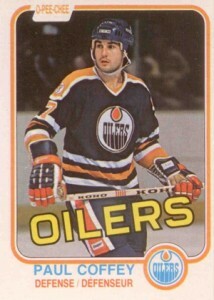 One of hockey's best skaters, Paul Coffey was regarded largely as an offensive defenceman. For collectors, that's not a bad thing. For career points, Ray Bourque is the only blue liner to have more. Coffey retired with four Stanley Cup rings and three Norris Trophies. 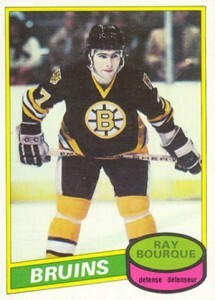 Speaking of Ray Bourque, most would rank him second to Bobby Orr as best all-time NHL defenceman. Bourque ranks first in all-time points. Although he played much of his career with the Boston Bruins, one of the most touching moments in his career came when he finally won a Stanley Cup with the Colorado Avalanche in 2001. Bourque won five Norris Trophies and was named a First-Team All-Star 13 times during his career. Classy play gets golf claps. To be ranked among the immortals requires something more. 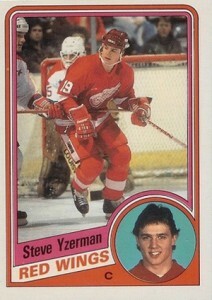 Steve Yzerman was the complete package. Nobody can dispute his role as leader of the Detroit Red Wings for an entire generation. Yzerman spent his entire playing career with Detroit, leading the team to three Stanley Cups. He retired with 1,755 career points, good enough for sixth on the NHL's all-time list. Wayne Gretzky may have gotten more of the spotlight, but Mark Messier was still one of the best players of his generation. He proved that when he led the Oilers to a post-Gretzky Stanley Cup in 1990 and another with the New York Rangers in 1994. Only Gretzky has more points all-time. 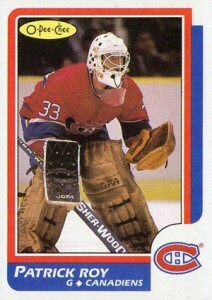 Any debate about hockey's best all-time goalie would have to include Patrick Roy. Although some of his records are starting to fall thanks to Martin Brodeur, Roy was hockey's best netminder during a time of unparalleled offense. His accomplishments include four Stanley Cups, three Conn Smythe trophies for playoff MVP and three Vezina wins as the NHL's best goalie. Whether it's video games or hockey, it's impossible to ignore Super Mario. Although he sits only seventh on the all-time career points list, Mario Lemieux is regarded as one of the game's true elite. 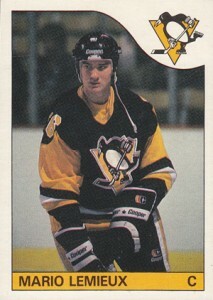 Besides Wayne Gretzky, Lemieux was the most dominant player in the game. Period. End of discussion. If it weren't for major health problems, the numbers would better reflect Lemieux's impact on the game. That is quite the list and each year defiantely had a good number of them except for 1983-84. Being an avid collector of this decade, I think the card designs are awesome and over looked by many of todays collectors. Thanks for the article.